The Tax Cuts and Jobs Act was officially signed into law by President Trump on Friday, December 22, 2017, and is said to be the largest tax reform bill to go through since the Regan-era Tax Reform Act of 1986. With it comes some significant changes to the way individuals and businesses will make financial decisions, which will have a broad impact on the American economy. 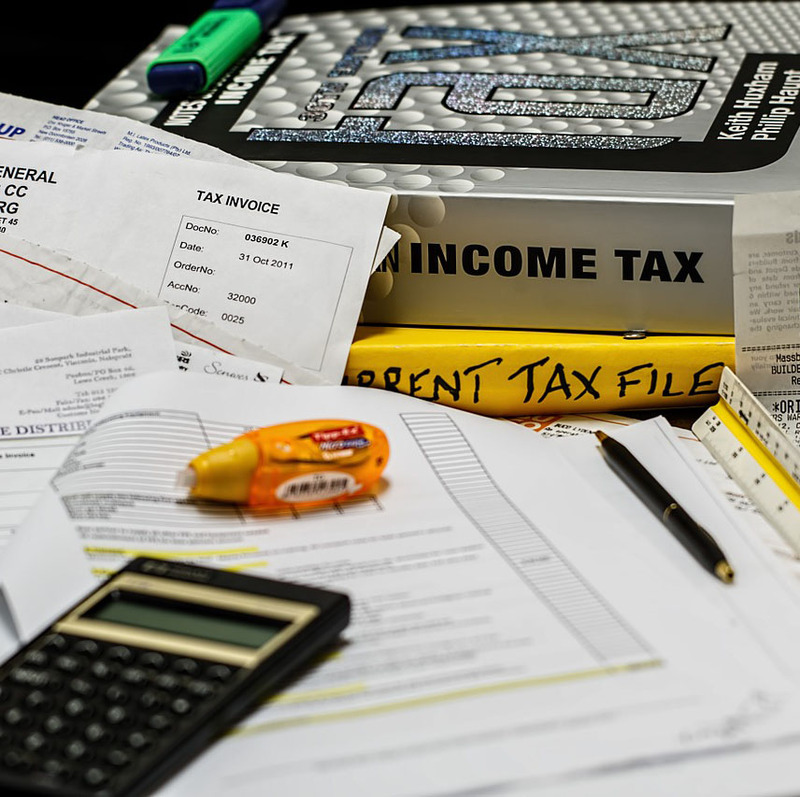 Here is a brief rundown of the highlights of the law, which includes changes to tax brackets and reduction of income tax rates for corporations. There will now be seven tax brackets as follows: 10%, 12%, 22%, 24%, 32%, 35%, and 37%. The top tax bracket rate, 37%, will be for those individuals who are earning $500,000 and above (joint filers must be earning at least $600,000). The new tax bracket rates are set to expire in 2026 and will then revert back to the current rate structure. • “Kiddie Tax”: This applies to children under the age of 19 or any full-time students under the age of 24. This tax will no longer be tied to the income of the parents or siblings, instead, unearned income of children will now be subject to tax at the same rates of estates and trusts. The standard deduction will now be doubled. For example, a single filer’s deduction will increase from $6,350 to $12,000, with married and joint filers increasing from $12,700 to $24,000. The elderly and blind deductions will go unchanged. Beginning after December 31, 2025, the increased amount of the standard deduction will expire. Personal exemptions will be temporarily repealed for tax years starting in 2018 and until after December 31, 2025. The new AMT will be applied to the taxable years beginning after December 31, 2017, and before January 1, 2026. The AMT exemption will now be $109,400 for married taxpayers filing jointly with a phase-out threshold at $1,000,000. The AMT exemption for married individuals filing separately will be $54,700 for and all others at $70,300 with a phase-out threshold of $500,000. The Act will now increase the child tax credit from $1,000 to $2,000 with up to $1,400 of it being refundable. It will also increase the income level for married tax filers from $110,000 to $400,000, all others at $200,000. Additionally, it allows for a $500 credit for each non-child dependent (i.e., elderly). Parents can use up to $10,000 per year for tuition and qualified expenses for public, private or religious elementary and secondary schools. A taxpayer may not deduct up to $10,000 in state and local taxes, but they must choose between property taxes and income or sales taxes. Additional property taxes can be deducted for business assets, such as residential business property. Current mortgage holders remain unaffected. New mortgages entered into between December 15, 2017, and December 31, 2025, will be reduced to a limit of $750,000 or $375,000 for married taxpayers filing separately. Additionally, beginning after December 31, 2017, and before January 1, 2026, the deduction for home equity interest will be suspended. The income-based percentage limit for charitable contributions of cash to public charities and other organizations is increased from 50% to 60% of adjusted gross income. This will be effective for taxable years beginning December 31, 2017, and before January 1, 2026. Changed to include costs that are 7.5% or more of adjusted gross income (compared to previous 10%) for 2017 and 2018. Can no longer be deducted from or included in income, effective for any divorce or separation instrument executed after December 31, 2018. Suspension of any deduction for taxable years 2018 through 2025. However, the rules allow for amounts attributable to in-kind moving and storage expenses for members of the armed forces, and their spouse and dependents, on active duty that must move due to a military order. Must be attributable to a disaster declared by the President under section 401 of the Robert T. Stafford Disaster Relief and Emergency Assistance Act. Can no longer be deducted, save for cases of federally declared disasters. All other losses will not be accepted. Will now be expanded to include expenses incurred in connection with an individual’s wagering activity. This is aimed to limit a professional gambler’s net loss to zero. This will be effective for taxable years beginning after December 31, 2017. Are now repealed for taxable years beginning after December 31, 2017, and before January 1, 2026. The penalty for failure to maintain health care coverage has been eliminated for those without health insurance beginning after December 31, 2018. The exemption has been doubled to $10 million per individual (indexed for inflation). This is effective for decedents dying, generation-skipping transfers and gifts made after December 31, 2017. The increased exclusion is set to expire for decedents dying and gifts made after December 31, 2025. Reduced to a flat 21% which also applies to personal service corporations. The original 80% dividends received is reduced to 65% and the 70% dividends received is reduced to 50%. The corporate AMT has been eliminated. Any taxpayer that has an AMT credit carryforward may use them against their regular tax liability. They may also claim a refundable credit equal to 50% of the remaining AMT credit carryforward for years beginning in 2018-2020 changing to 100% for years beginning in 2021. Are not allowable in the current taxable year, but are instead to be carried over and treated as part of the corporation’s net operating loss in subsequent tax years. Expensing limitation is increased to $1 million, with a phase-out threshold of $2.5 million. Is increased to a maximum of $10,000 for the first year the vehicle is placed in service, $16,000 for the second and $9,600 for the third. All years thereafter are $5,760. This applies only to vehicles placed in service after 2018. Now includes a 15-year period for improvement property (including qualified leasehold, qualified restaurant, and qualified retail) and a 20-year alternative depreciation system (ADS) period. The ADS recovery period is reduced from 40 to 30 years. Are no longer subject to heightened substantiation requirements. Applicable for businesses with less than $25 million in average annual gross receipts. They can now take advantage of several accounting simplifications, such as cash method of accounting, accounting for inventories, capitalization and inclusion of inventory expenses, and long-term contract accounting. For taxable years beginning after December 31, 2017, the interest expense deductions are limited to the sum of business interest income, floor plan financing interest, and 30% of the “adjusted taxable income” of the taxpayer for that taxable year. Exemptions include businesses with an average gross receipts amount of $25 million or less, regulated public utility companies, electing real property trade or business, and electing farming businesses. NOL deduction is limited to 80% of taxable income. Like-kind property exchanges apply only to real property not held mainly for sale. Adjustments are taken into account for a six-year period from the time the S corporation status turns to a C corporation status. Contributions to the capital which may be an aid of construction or any other contribution as a customer or potential customer and any contribution by any governmental or civic group are no longer exempt. For sales after 2017, for Special Small Business Investment Companies, gain rollovers are no longer permitted. Lobbying expenses or deductions are disallowed. Self-created intangibles, such as musical compositions, can no longer be treated as a capital asset. Partner losses are only applicable to the specified partner’s distributive share of charitable contributions and foreign taxes. The transferee of a partnership must withhold 10% of the sale amount of a partnership interest. The rule is now repealed, a partnership is treated as continuing even if more than 50% of the total capital and profit interests of the partnership are sold. There need not be any new elections. Transfers of applicable partnership interests for businesses held for less than three years are treated as a short-term capital gain. Are capitalized over a five-year period for tax years after 2021. Includes a 25% credit for clinical test expenses for drugs related to rare diseases. Includes a 20% credit for updates and maintenance of historical structures. The credit must be claimed ratably within a five-year period beginning with the taxable year the structure is placed in service. Employers may claim 12.5% of wages paid to employees during any time in which they are on family or medical leave if the rate of payment under the program was 50% of the wages normally paid to an employee. A covered employee is now defined to include the principal executive officer, the principal financial officer, and the three other highest paid employees in order to repeal the exception for the $1 million deduction limitation for commissions and performance-based compensation. A 21% tax will now be imposed for compensation in excess of $1 million paid to a tax-exempt organization’s five highest-paid earners. Allows employees who are given stock options or restricted stock units to defer the income recognition for up to five years. Deductions are not allowed for any settlement or payment related to a case if such settlement or payment is subject to a nondisclosure agreement or attorney’s fees related to such settlement or payment. No deduction will be allowed for any amount paid or incurred to a government or governmental entity in relation to a violation of any law (or any investigation or inquiry by that government or entity).